As many as 1.9 million people call Hampton Roads and Southeast Virginia home, making it the 2nd largest statistical region in Virginia and the 37th largest metropolitan area in the nation. The Port of Virginia as well as central Mid-Atlantic access to highways and interstates in and around Norfolk / Hampton Roads carry a large amount of traffic from commercial trucks. But with such a booming population and important port, the increase in the volume of people has led to an increase in the number of accidents, injuries, and traffic fatalities in the region. Atkinson Law has the experience you need on your side, advocating on behalf of injured accident victims in Norfolk, VA and surrounding areas such as Emporia, Franklin, Suffolk and Portsmouth. Whether you need a Virginia truck accident attorney or a Norfolk motorcycle accident attorney, you can contact us any time at 757-648-8579, or you can fill out our free form to contact us online. Norfolk, Portsmouth and Emporia, VA big rig accident lawyer Ed Atkinson understands how the law related to semi trucks will apply to your injury claim. The legal landscape related to the trucking industry is complicated by the interplay between standard state traffic and negligence laws on the one hand and special regulations for tractor-trailers on the other. These laws and regulations govern all aspects of truck operation including the permissible load weight, loading procedures, hazardous materials and number of hours driven without rest and trailer maintenance. Motor vehicle accidents on the highway often occur during passing or changing lanes. Most drivers can relate to the tense feeling of being passed by a large truck, so large that it may even occupy more than a single lane of travel. Truck drivers operating big rigs in Virginia must make sure that they can safely overtake another vehicle before attempting to do so. They must also stay in one lane as much as possible, pay full time and attention to the roadway, use a turn signal and not travel at unsafe speeds. A truck driver who violates any of these legal standards may be negligent if an accident results and Atkinson Law, a Norfolk truck accident law firm is available to help drivers who experience any kind of incident in the Hampton Roads area. Any accident involving a semi truck could lead to a large Virginia tractor trailer accident settlement, so talk to a Hampton Roads tractor trailer accident lawyer as soon as you get the chance to after an incident occurs. Rear-end collisions are common in the trucking industry, and professional legal assistance can make a difference in the outcome of the case. Without a Norfolk, VA truck accident attorney on your side, you may lose your case altogether or fail to recover as much money as your claim is worth . Have You Been Injured In A Norfolk Area Trucking Accident? Norfolk / Portsmouth Trucking injuries such as spinal damage, head trauma, or broken bones, are similar to injuries sustained in other auto accidents. The difference is that with the size and mass of the vehicles involved in Norfolk trucking accidents the injuries and damage sustained can be much more severe and disruptive to your life, and in some cases, they can be fatal. If you’ve sustained a trucking injury from an 18 wheeler in Southeast Virginia while on the job you should seek both immediate medical attention and legal counsel. The sooner you get help, the better your physical and legal recoveries will be. 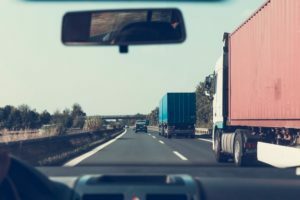 A Norfolk area truck accident lawsuit may develop any time a semi-truck collides with another vehicle, object, or person. 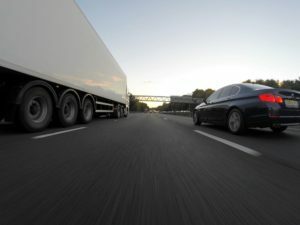 The injuries sustained by drivers involved in a motor vehicle collision can be serious, and the amount of money paid to the victims in a Norfolk big rig accident settlement should be enough to compensate for loss of quality of life, lost wages, pain and suffering and other measures of damages. Legal assistance from our law firm can help you navigate the complex procedures necessary to litigate or mediate your case with the best possible result. The road to recovery can be long and difficult. But taking the first step towards getting compensation for your accident is as simple as picking up the phone. Attorney Ed Atkinson has served clients in Southeastern Virginia since 2008 in these very specific types of trucking injury lawsuits, and these clients have consistently given Atkinson Law high marks for results and client service. Ed Atkinson has been recognized by his attorney peers as a “Super Lawyer: Rising Star” for 2016, 2017 and 2018. Call 757-648-8579 or fill out a free online consultation form to talk to an attorney at any time of day or night.